House rebuilding costs in Ireland have increased on average of by 5.5% nationally over last 12 months, mostly due to an increase in building activity. The latest guide to house rebuilding costs published by the Society of Chartered Surveyors Ireland (SCSI) shows that national average re-build costs have increased by an average of 5.5% over the past 12 months. Figures also show that the cost of rebuilding a three bedroom semi-detached home in Dublin is €73,000 more expensive than rebuilding the same type of house in the North West of the country. 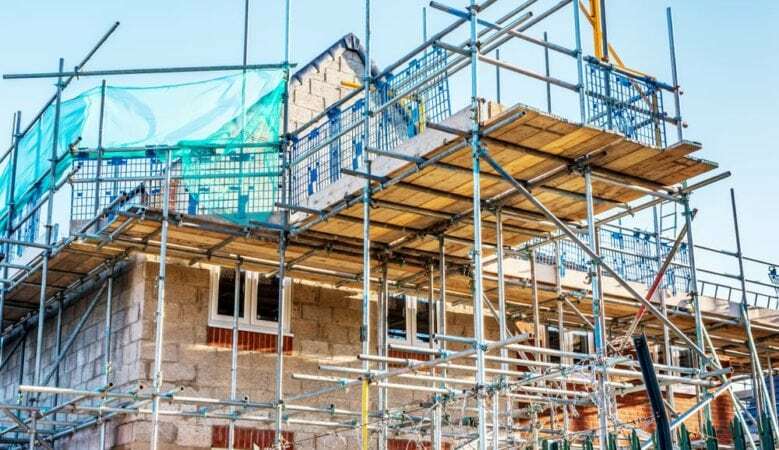 ‘The construction sector is experiencing high demand and this increase in activity is having an inflationary effect on prices,’ said chartered quantity surveyor and SCSI member Mark Bourke. ‘Next year will see the introduction of amendments to heating and ventilation requirements for new builds and its expected that these will also have a further impact on prices, although the new regulations are expected to reduce heating costs and should be positive in the long run,’ he added. The average minimum rebuilding costs for a standard three bedroom 1,023 square foot semi-detached house around the country is €227,439 in Dublin, €182,427 in Cork, €180,381 in Galway, €174,243 in Waterford and €177,312 in Limerick. The SCSI said that it is very important that home owners distinguish the difference between a valuation and rebuilding costs. A market valuation is the expected amount another person would pay for your property if it was placed on the open market. The rebuilding costs are associated with the cost of building or replacing the dwelling. ‘The key for home owners is to check that their house rebuilding costs as the reinstatement costs involved in rebuilding a house in the event of a catastrophe such as a fire which are required on all home insurance premiums are adequate and fully in line with current figures,’ said Bourke. ‘Home owners need to check the sum insured on home insurance premiums to ensure they are fully covered and not over or underpaying,’ he added.